Our Mini Maid Tubromizer head offers the quality and realiblity of Galley Maid in a compact unit. The pump is attached to the base of the bowl, which allows for easy installation. This unit is available for salt water or fresh water use. Our DHS model consists of a round style bowl with a remote pump. It is available for salt water or fresh water use. This unit aso comes with an electonic timer switch that simplifies the use of the system. 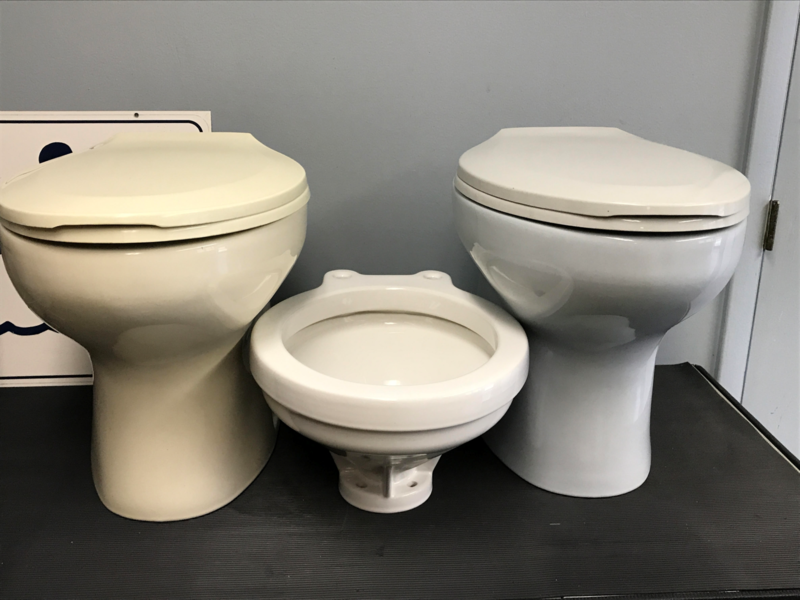 Our DHR and DHE models feature an all porcelain eurostyle bowl available in either Round (DHR) or enlongated (DHE) sizes with color matched seats. These bowls are available in four different colors; Seaform White, Sand Beige, Seamist Grey, and Midnight Black.